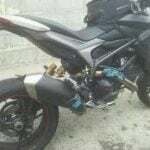 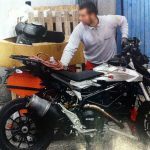 Over the last several months, Ducati fans have been pouring over a number of spy photos and debating whether the new model pictured was a Hypermotard or a Multistrada. 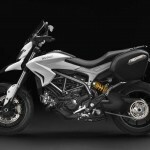 The answer, it turns out, is a bit of both, with Ducati revealing the new Hyperstrada at the 2012 EICMA Show alongside a new liquid-cooled Hypermotard. 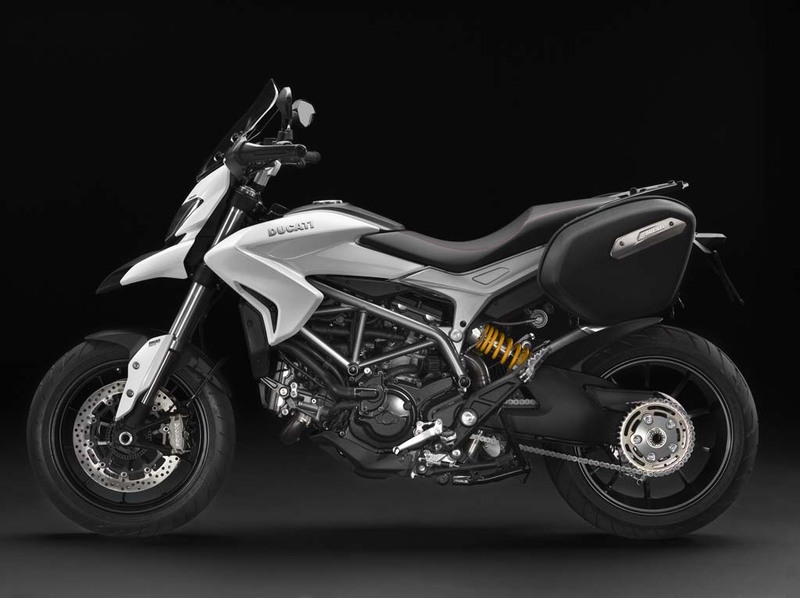 Like the new Hypermotard, the 2013 Ducati Hyperstrada is equipped with an 821cc version of the liquid-cooled Testastretta 11-degree engine. 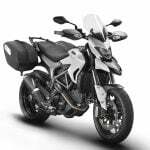 Like the Hypermotard, the Hyperstrada offers ABS and traction control as well as three ride modes: Sport (claiming 108 hp), Touring (also claiming 108 hp) and Urban (74 hp). What’s different about the Hyperstrada is its more touring-oriented features. 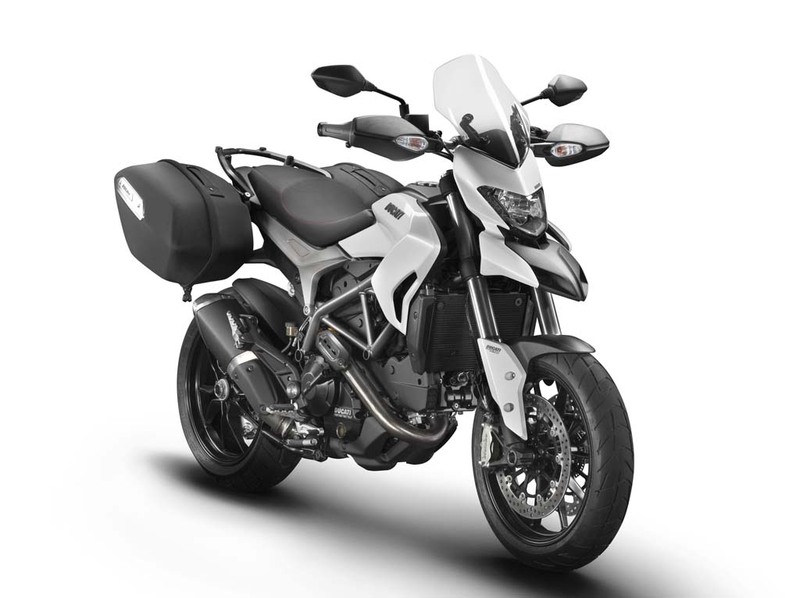 The Hyperstrada comes with a touring screen for better wind protection, center stand, longer mudguards, engine sump guard, two auxiliary outlets and 50 liter quick-detach saddlebags (a 31 liter top case is available as an accessory for more storage.) 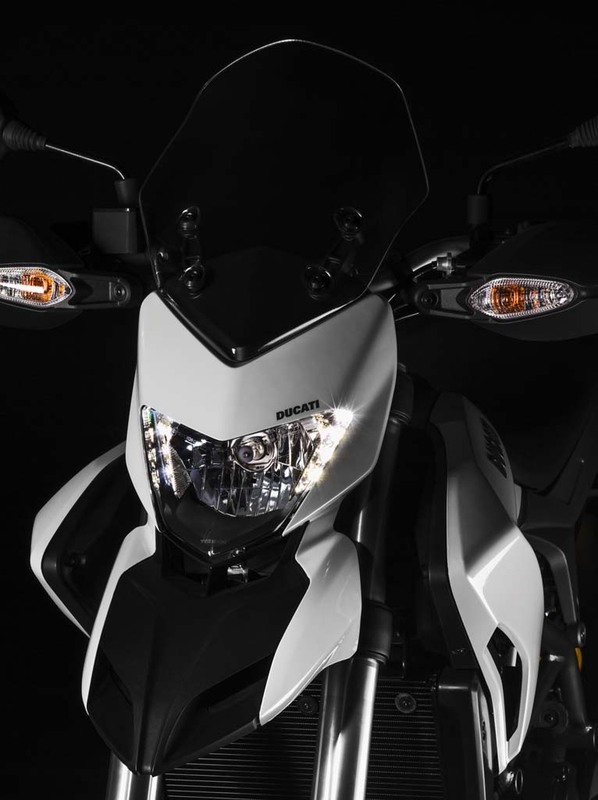 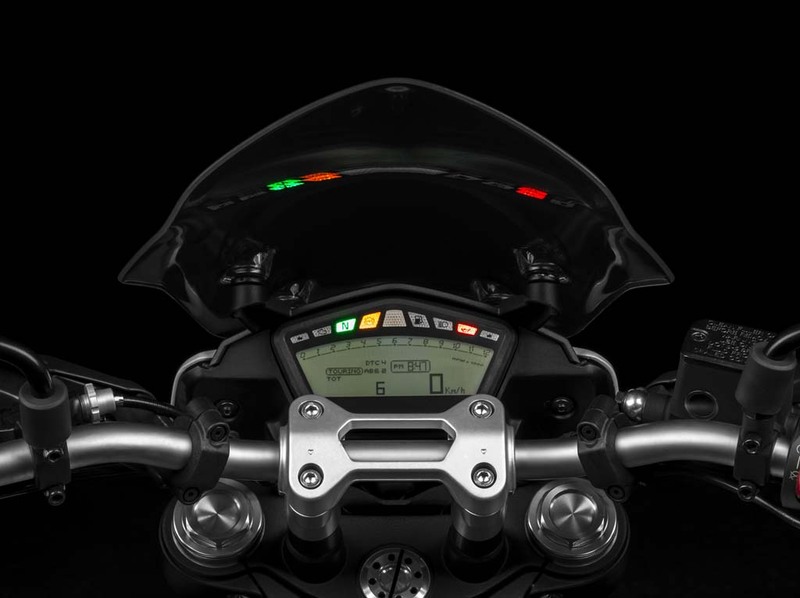 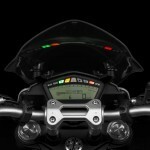 The Hyperstrada’s handlebars are also 20mm higher than those on the Hypermotard, improving comfort for longer journeys. 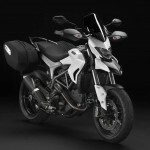 The Hyperstrada also gets a wider, thicker foam seat than the Hypermotard. 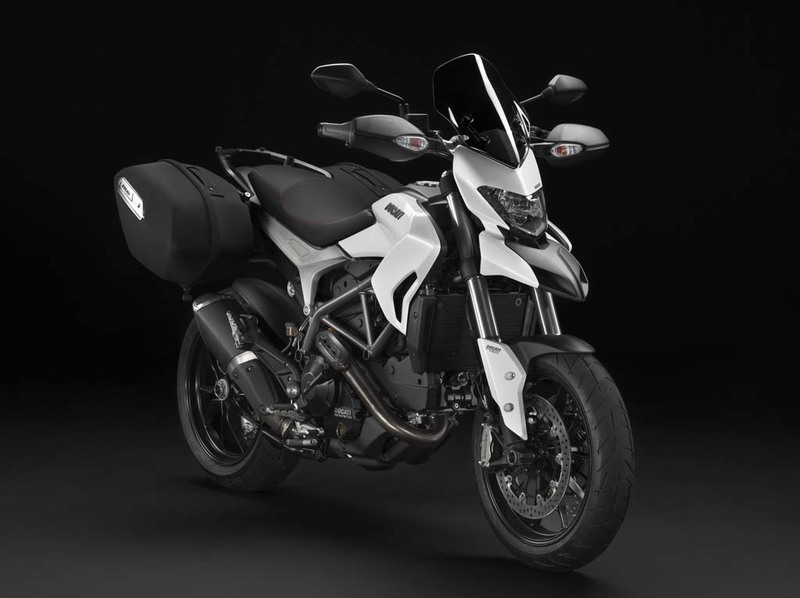 The stock Hyperstrada offers a seat height of 33.5 inches but an optional accessory seat will lower the height by 0.78 inches. 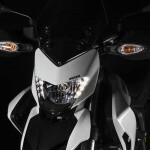 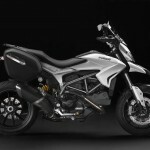 With a claimed wet weight of 449.7 pounds, the Hyperstrada is also heavier than the Hypermotard (436.5 pounds claimed). 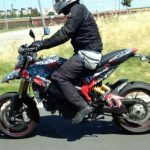 Suspension is comprised of 43mm Kayaba upside-down forks with a 150mm stroke and Sachs rear shock with 1500 of travel and adjustable spring preload. 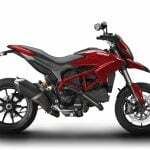 Brakes are radial-mount Brembo four-piston monobloc calipers, just like the Hypermotard. 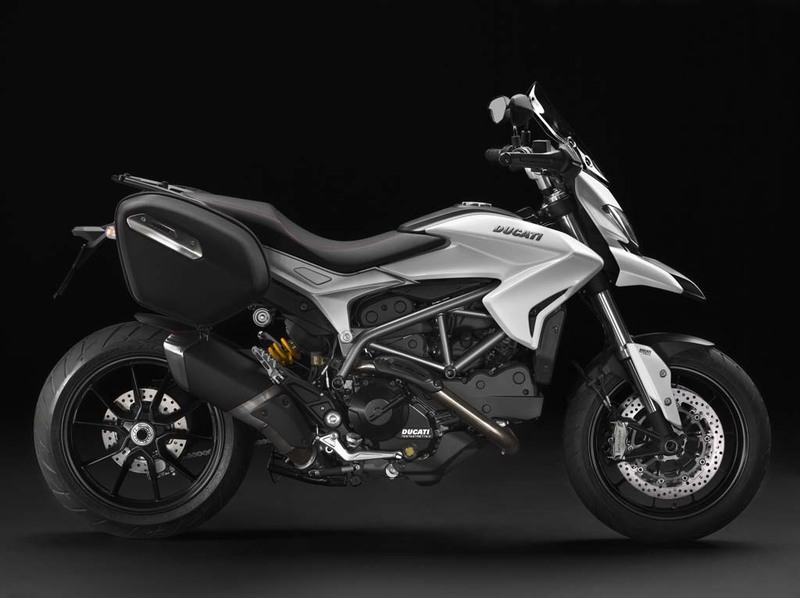 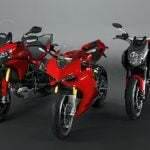 The 2013 Ducati Hyperstrada will be available in Ducati Red or Arctic White with gray trellis frame and black wheels for a price of $13,295.